The most valuable part of the asparagus. 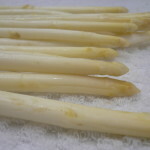 They are excellent for achieving the: Risotto with asparagus Raw in pinzimonio. 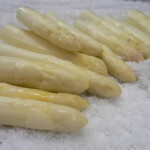 Asparagus with a diameter between 8 and 16 mm. After peeling and entirely tender. 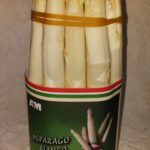 They are excellent for achieving: Asparagus with sliced Bismarck asparagus You can buy them either loose or tied to a bunch. Asparagus with a diameter of more than 16 mm. After peeling and they are very tender. 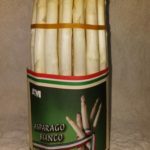 They are excellent for achieving: Carpaccio of asparagus You can buy them either loose or tied to a bunch.